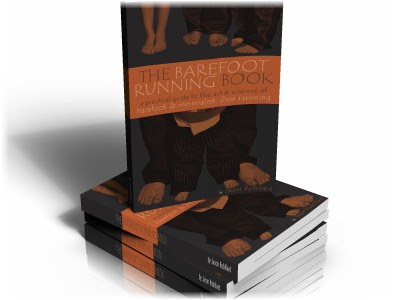 Barefoot Angie Bee: The Barefoot Running book. "There are those of us who are always about to live. We are waiting until things change, until there is more time, until we are less tired, until we get a promotion,until we settle down until/until, until, until. It always seems as if there is some major event that must occur in our lives before we begin living." When I first started barefoot running at the beginning of last summer, I joined the Runners World barefoot running forum. I had just read "Born to Run" and was thoroughly inspired and had nothing to loose. One of the veteran posters was Jason Robillard. He has been running barefoot since 1992 and racing since 2005. He just published his first book called "The Barefoot Running Book". He holds barefoot running clinics in Grand Rapids MI and has a blog as well as two websites three kids and an awesome wife...oh yeah and teaches high schoolers Psychology. Now that is a busy guy!! Jason sent me a copy of his book and I am compiling a review now but wanted to get something published today and was not quite finished with the review. Right now he is organizing a Guinness world record attempt to have the most barefoot runners participate in a race. This will be held on May 7th in Grand Rapids. It is an official barefoot runner meetup and will be followed by the Fifth Third Riverbank Run the next day. Its going to be a big fun party that I so wish I could go to! Here are some links to check out in the mean time. 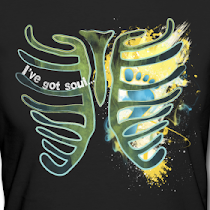 Jason's blog Barefoot Chronicles and his website Barefoot Running University. Full review of this and 2 other running books coming up this week and giveaways as well! I can't give away my copy of his book because I couldn't help but highlight so he is sending me more for you!! As for me, its been crazy around here and I have only put in 8 1/2 miles last week. I did several P90X workouts and am ready to start week four which means different workouts. This week our schedule changes and I no longer have things taking up my mornings on Monday and Tuesday so more days to run which means more flexibility if I don't want to run. This is fantastic considering there is gardening to do now as well. I am not happy with the amount of miles I have put in yet I can not deny the progress I have made. I also think I am having a mineral imbalance as well as not enough protein. Last night was spent sleepless with a pukey male spawn. Poor fella and poor mama too since today I am beat. I miss running. Might have to hop on the treadmill tonight just to relax! Not running much some weeks = periodization I think is the word. You know, you train hard for a number of weeks and then you ease off. 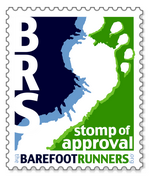 It is amazing how many people are becoming interested in barefoot running. There is something totally liberating about it. Hey Angie! I need a new book (and some affirmation that barefoot running is, in fact that way to run), so thanks for the suggestion. Also I have been meaning to ask you, did you run the 21 miles truly barefoot or did you have anything on? oy, I hear ya on the sleepless nite. just happened for me over here. Although, it was only for ~2 hrs, so not too bad.